Some hear ‘Kobanî’ and think ‘war’. At Slow Food, we think gardens, rebirth and freedom. Ozlem Tanrikulu, President of the Kurdistan Information office in Italy was kind enough to speak with us about recent progress in the region. Before the war, the region of Rojava, where Kobanî is situated, was rich in crops: “60% of Syrian agricultural produce comes from this area”, says Ozlem. But now, as a result of the destruction of wells, many areas face significant water shortages. Nevertheless, they manage, in part by cultivating crops that do not require a great deal of irrigation. Ancient cultivation techniques developed by the great civilizations that grew along the Tigris and Euphrates have enabled the local population to return to communal land use. In some villages, semi-destroyed by the war, surrounded by green meadows and freely grazing cattle, families have decided to return and re-inhabit land liberated from the violence. The common goal now is to set into motion a thorough reconstruction process starting from the land itself, to make it productive once more, to revitalize its produce, and to restore hope to the many Syrians who are still living in a state of total insecurity. “It is crucial to the local population to maintain a link to their homeland, to continue to cultivate life itself”, says Ozlem. The future of Kobanî now also includes food gardens, “they are so much more than just plots of land, they are symbols of freedom for a population and a land known as the cradle of civilization”. 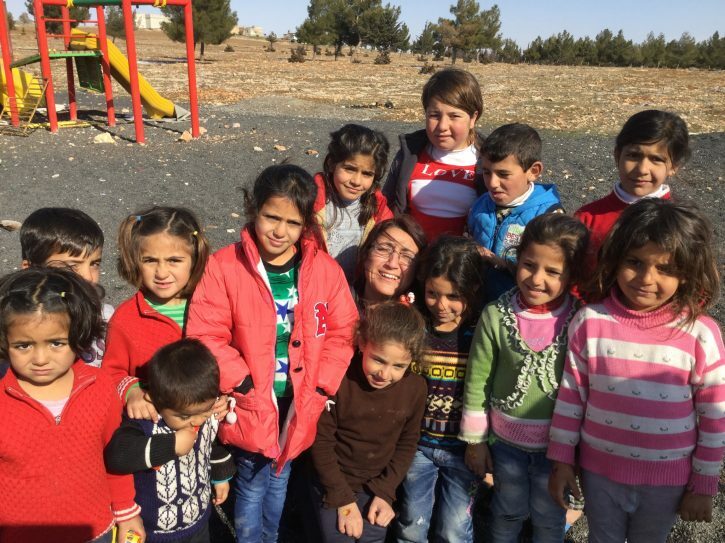 In 2015, a Slow Food delegation and the democratic administration of Rojava launched the “Gardens in Rojava” project, to set up food gardens in schools. The aim is to bring Slow Food’s experience to this war-afflicted land. The school gardens serve a dual purpose: growing food while learning about environmental and food education. “The initiative was welcomed with such enthusiasm by young and old that we were able to create urban gardens and schools in a dozen villages involving over 1000 students». The schools’ activities are designed to promote freedom for girls and boys in all areas. Among these are teaching the Kurdish language, that was previously banned, and ecology as a fundamental principle of society. The cultivation of fruit trees used to be discouraged by the regime in favor of the monoculture of wheat. 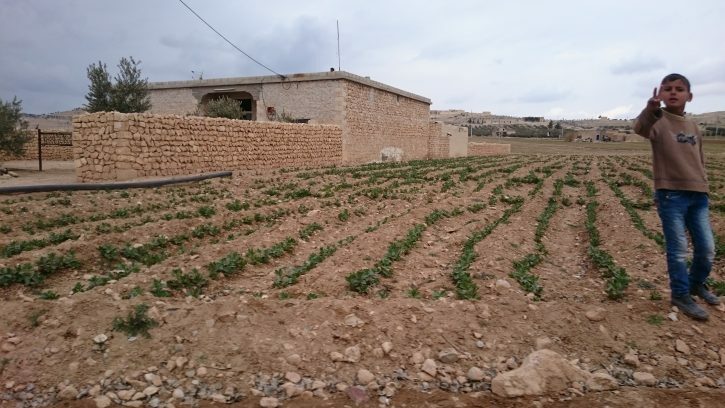 There is now a plan to bring back the cultivation of figs, pomegranates and vegetable gardens for families and entire communities around Kobanî. This is a system in which women play a crucial role, both in households and in politics. An experience of social avant-garde stemming from the adoption of a charter that rejects authoritarianism and militarism in favor of equality and human rights. «In Kurdish we use the same word to indicate both woman and life, to underline the connection with nature and the earth. In Kobanî, it was fundamental to act in order to protect that land and life, to guarantee a future for local communities”. Even more so in difficult contexts where food plays a fundamental role for the future: «food creates hope, represents life and those who feel a connection with life will not leave their land or their community». For Ozlem, this is food for change: “It means collaborating, empowering, reinforcing the sense of union, cultivating a future for these lands together, restoring the biodiversity that has made it rich in past centuries”.